Amazon is now selling its Fire Phone for just $US199 unlocked, which is a dramatic drop from its launch price of $US649 (via The Verge). That’s also extremely cheap for an unlocked phone in general. Most phones cost $US199 on a two-year contract with a carrier, but even the cheapest off-contract phones like the OnePlus One usually cost at least about $US300. Not to mention, the Fire Phone comes with a full-year membership of Amazon Prime, which would usually cost $US99. Amazon also dropped the Fire Phone’s price on-contract with AT&T to just $US0.99 in September. This doesn’t appear to be a temporary promotion either — it seems Amazon has permanently slashed the price of the Fire Phone on its website. 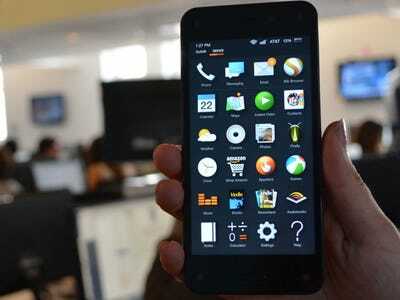 The move is most likely an attempt to sell more Fire Phones, as the phone hasn’t sold well since its launch in July. The marketing firm Chitika released a study in August in which it tracked Fire phone adoption, finding that it was slow yet steady a few weeks after the phone’s launch.